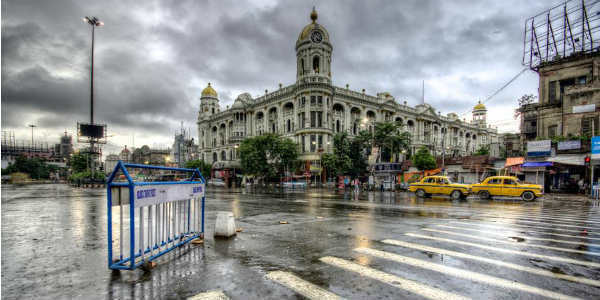 In the last 24 hours from 08:30 am on Sunday, Barrackpore recorded heavy rain to the tune of 56.2 mm, followed by Uluberia 48 mm, Kolkata (Dum Dum) 45 mm, Kalaikunda 25.6 mm, Midnapore 19 mm, Haldia 15.5 mm and Diamond Harbour 16.6 mm. These rains have been attributed the the confluence zone over Gangetic West Bengal and an anti-cyclone persisting over North Bay of Bengal. Due to the anti-cyclone, humid winds from Bay of Bengal are reaching up to Gangetic West Bengal. 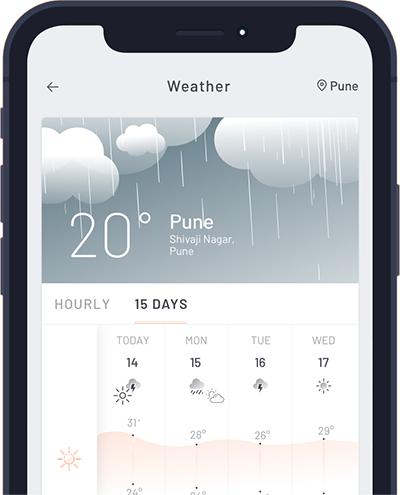 These winds are then merging with dry and cool northwesterly winds leading to cloud development and subsequent rain and thundershower activities. At present, a trough is extending from Rajasthan to Bihar, which will gradually move up to West Bengal. Therefore, we expect rain and thundershowers to continue over Kolkata and many more parts of Gangetic West Bengal till February 27. By February 28, the intensity of rain will reduce significantly and weather conditions over most parts of West Bengal will clear up. However, isolated rains may continue over Kolkata and its proximity. In the wake of these rains, we can say that the monthly average of Kolkata is expected to become twice its normal rainfall of February. Hailstorm activity accompanied with strong gusty winds and lightning strike are also possible in parts of the state.